ABUS: Featuring a simple, strong and attractive design, the new Ultra 410 is the ideal entry level D-lock and complements the Super Ultimate and Ultimate line-up. Its simple design conceals a number of high-tech advancements in security including a new double layered key with decoy cuttings and a cylinder with special wafers, which make this lock virtually impossible to pick with conventional methods. 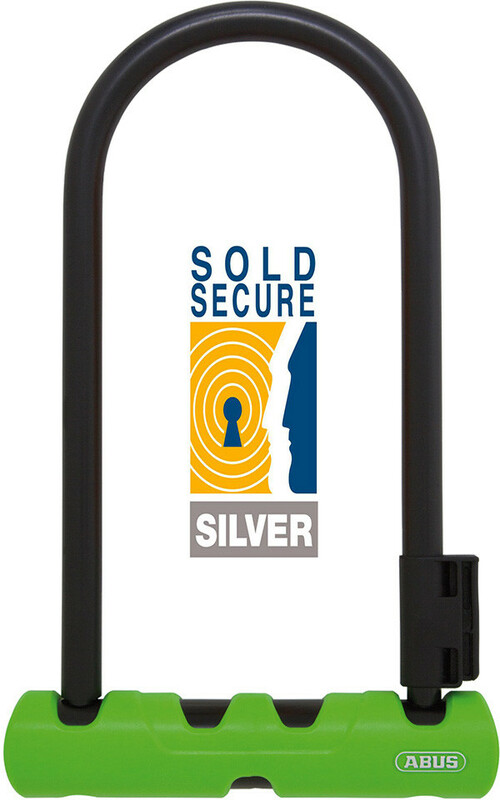 Every variant is Sold Secure Silver certified. The 12mm thick double bolted, hardened steel shackle extends all the way through the lock body providing excellent protection against cutting and torsion attacks in a simple yet innovative design. The Ultra 410 uses a very easy to mount, rattle-free frame bracket and comes in a full range of mini and standard sizes, with or without additional extension cables.